This is a fabulous set of photographs, Chris. I believe I can pinpoint this recording session to late 1973. By that time, Chess Records had closed down their famous offices and studios in Chicago, IL and moved all remaining operations to New York. During 1973 and 1974, with your late father Skip as chief engineer and Esmond Edwards in charge of production, Sound Exchange was to be the location for the remainder of the Chess recording careers of Bo Diddley, Chuck Berry and Etta James. 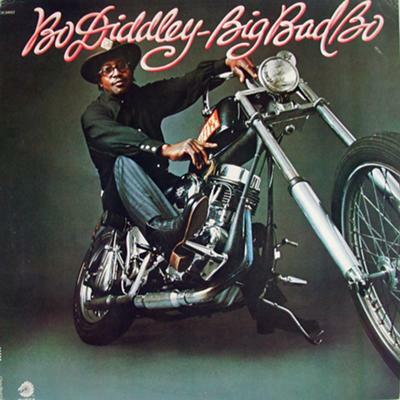 The tracks that your late father engineered for this session were released on Bo Diddley's final album for Chess Records, the heavy funk classic "Big Bad Bo" (Chess CH-50047), released in 1974.